Asylgruppen i Malmö (The Asylum Group in Malmö) is a non-profit organization. Since 1991 we have been working with and for asylum-seekers and underground refugees (refugees on hiding). We consider this as part of the global struggle for freedom, equality and solidarity. Until this vision becomes a reality we will be working to improve and change the quality of life and situation of those who are affected by Sweden’s restrictive political asylum system. 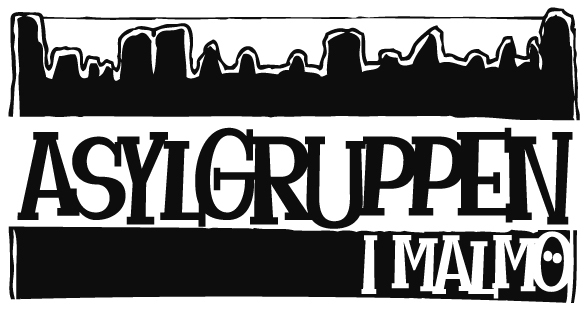 Asylgruppen i Malmö is a member of FARR, Flyktinggrupperna och Asylkommitteérnas Riksråd. FARR is an umbrella organization that supports on national scale individuals and groups that promote the right to seek asylum. An important part of our work is direct contact with asylum applicants and underground refugees. Most of them establish contact with us through telephone, e-mail, on-call service/duty or through persons we have earlier met. The persons who usually approach us are often times in great need of help and we try to provide both legal and humanitarian aid. This may stretch from investigating legal opportunities after rejection of application, to initiating contact with the Migration Board and other governmental authorities, assisting to find a good lawyer, ensuring that medical care is given to those who need it, or to finding a school for their children. Our political tasks are of central importance in our organization but we are independent both from religion and politics. Through opinion building and education we strive for a humane and generous refugee politics where every human being gets fair treatment. Even asylum-seekers deserve safety and security. We strive for a society where everyone’s equal worth is mirrored in politics; a society where no one is excluded or discriminated and where human rights are not a vision, but a reality. Aside from our direct interaction with refugees we also write articles, host seminars, participate in debates and organize demonstrations. Opportunity to reach out is immense. The situation of the people we meet is not a result of the Migration Board’s occasional mistake but rather of a systematic rejective refugee politics. Asylum-seekers are questioned, challenged and violated by Swedish authorities. International conventions that Sweden has ratified are not being adhered to and gross violations of right to asylum occur. Many refugees who are sent back by Sweden have disappeared without trace, been jailed, tortured or killed. UN has given Sweden most attention for having sent people to countries where they are susceptible to torture. Swedish refugee system creates underground refugees. It is up to us to decide how limited their lives should be.